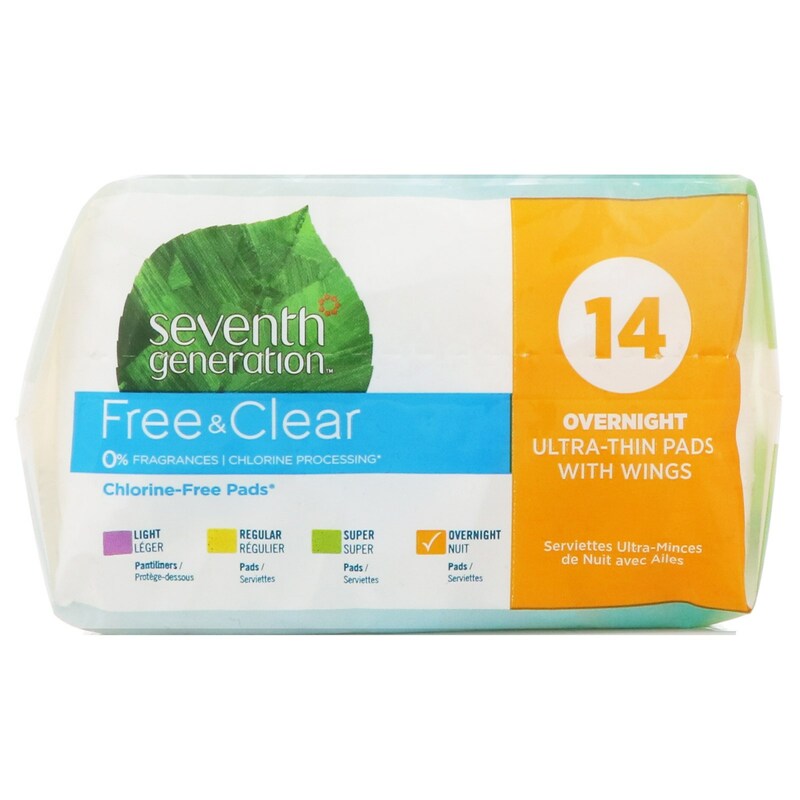 Our Free & Clear fragrance-free Overnight Ultra-Thin Pads with Wings provide the protection you need without exposing your most sensitive skin to unnecessary chemicals. 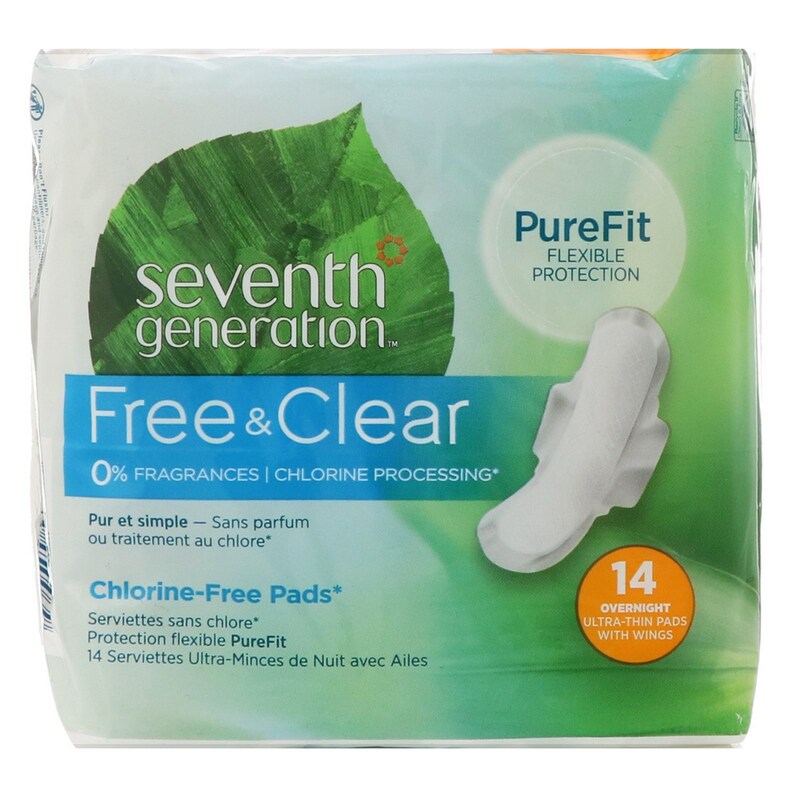 Our innovative PureFit design conforms to your body for reliable, leak-free protection, and comfort. Our pads are processed chlorine free, hypoallergenic, and not tested on animals. 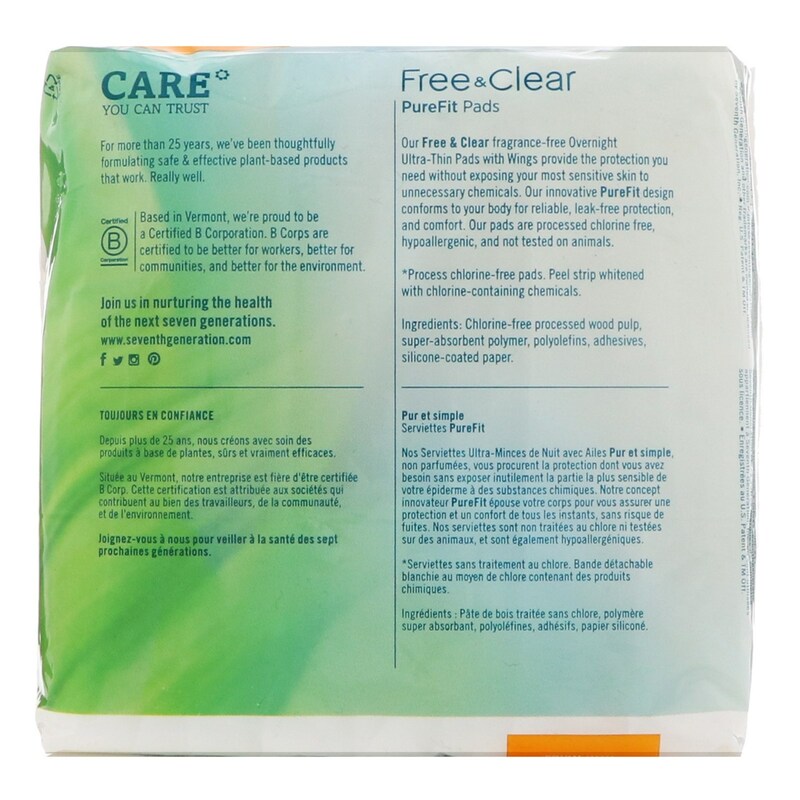 Chlorine-free processed wood pulp, super absorbent polymer, polyolefins, adhesives, silicone-coated paper.